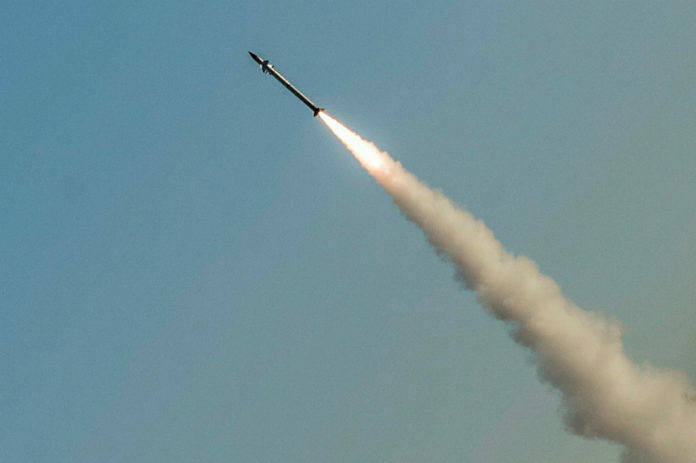 Alarms sounded in the Golan Heights and the Jordan Valley regional councils Wednesday when a Syrian Unmanned Aerial Vehicle (UAV) was intercepted by an Israeli Patriot missile over Israeli airspace. According to the IDF, the UAV crossed the Israeli border from Syria, and made it as far as the Sea of Galilee, 10 kilometers from the border, when the Patriot aerial defense system identified the threat and tracked it until its inception. “The IDF will not allow any violation of Israeli airspace and will act against any attempt to hurt its civilians,” the IDF Spokesperson said in a statement after the incident. The incident was the latest in a string of UAV incursions in recent weeks. Last month, the IDF said it had fired a Patriot missile at a UAV invading from the north, causing it to retreat, though they were unable to identify its source. More recently, on Monday during a tour of the Golan Heights, Defense Minister Avigdor Liberman said that any Syrian soldier or military force that entered the buffer zone between Israel and Syria are risking their life. Liberman also said that Israel has identified efforts to establish a terror infrastructure on the Syrian part of the Golan, adding that Israel will not stand for it.